Exclusively designed by Enya Mareine designers for one of the happiest days in your life, our collection of exquisite wedding gowns will set your heart on fire. Coupled beautiful gowns with amazingly captured pre-wedding photography, your wedding is set to be a truly unforgettable journey to matrimony. 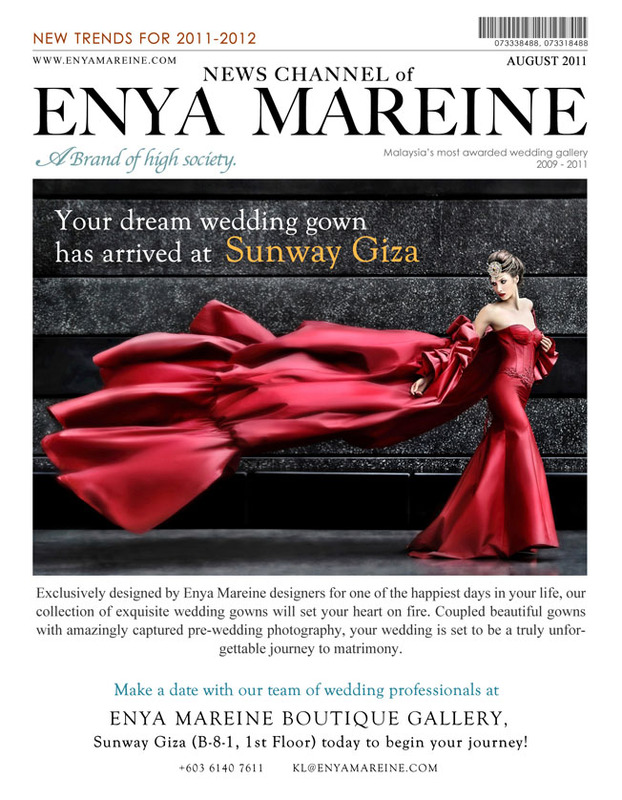 Make a date with our team of wedding professionals at Enya Mareine Boutique Gallery, Sunway Giza Mall, Kota Damansara, Petaling Jaya (B-8-1, 1st Floor) today to begin your journey!